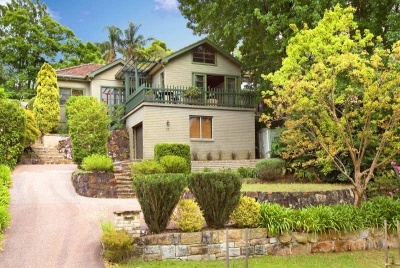 Overview of the purchase: Our client wanted a family home with a “bush setting” located on the Upper North Shore. A big block was necessary and they had a strict budget. This lovely property occupies 910m2 of land in a quiet leafy street yet just minutes to shops and the train station. With three living areas, there is good potential to increase the number of bedrooms as the family grows. Our clients have settled in and are enjoying their new home.